More than once, I have espoused the Terry Butcher Theory of Diddy Team Management. It runs as follows: recruiting good players is more important to improving a smaller club than being a good tactician or coach. Butcher, at Motherwell and then at Inverness, signed lots of talented players who did well for him. But on gameday he was hardly an English Pep Guardiola; he was ultimately found wanting at Hibs when he was stuck for several months with the players he inherited. Stephen Robinson reminds me of Butcher. He's not done much so far at Motherwell - or previously at Oldham - to suggest he is a great coach. What he has done this summer is go wild in the transfer market. At this moment, he's brought in ten new players. And yet there is method to this. For a start, the squad were in terrible need of an overhaul, and Robinson has delivered by shipping fourteen players out of the door. Mark McGhee stood too long by veteran players who were past their sell-by date; Keith Lasley has retired, James McFadden and Stephen Pearson have moved on, and it looks like Stevie Hammell and Stephen McManus are finally to be supplanted - Charles Dunne looks a good acquisition at left-back, with impressive pace for a 6ft 3in frame, while 20 year old Cedric Kipre has impressed in the centre of defence in the League Cup games. With Ben Heneghan and Richard Tait retained, and Trevor Carson providing a massive upgrade over Craig Samson between the sticks (to be fair, I'd be a massive upgrade over Samson), 'Well are, er, well set at the back. The most interesting of the newbies is unquestionably Gael Bigirimana, once a million-pound signing for Newcastle whose career was derailed by injuries and illness. He will bring flair and creativity to the centre of the pitch, especially with captain Carl McHugh doing the midfield dirty work. A pairing of Bigirimana and exciting youngster Chris Cadden looks very promising indeed, though Cadden may have to drift in from the right flank rather than start in his favoured central role. With left winger Elliott Frear poised to break out as well, and youngsters Allan Campbell and Ross MacLean ready to pitch in too, this area is very strong too. It all looks so rosy until you get to the business end of the pitch. A year ago, Motherwell were being carried by their attacking trio of Marvin Johnson (sold in August 2016), Scott McDonald and Louis Moult; this area now threatens to hold them back. McDonald, the one veteran worth keeping, has chosen to leave, while Moult's head may have been turned by interest from Aberdeen. Between them the duo have scored 49 league goals in the last two seasons. Replacing them is going to be difficult. Alex Fisher showed enough in the spring at Inverness to suggest he could do a job, but accommodating such a target man could require a change in style. He is also a rather similar player to the one other striker of note on the books, Ryan Bowman, who mostly misfired last year. If Moult is sold, the money needs to go on at least one other forward. 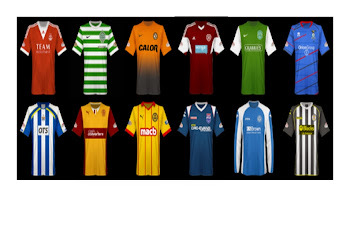 If that happens, or Moult stays, then actually Motherwell are looking pretty swish. Whilst I'm not convinced Robinson can work miracles with this lot, he can at least get them into the mix for sixth. Another flirtation with relegation would be unacceptable, and should be unrealistic.